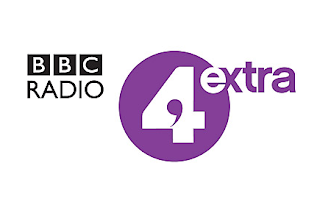 BBC Radio 4 Extra has moved back in front of sister station 6 Music in the battle of most-listened-to digital radio station, according to the latest set of radio audience figures, published by Rajar at midnight. The station increased its listener figures by 35% to 2.2m listeners between July and September (compared to 1.6m in Q3 2014/this time last year), overtaking sister station BBC Radio 6 Music (2.19m listeners, up 10% from 1.99m in Q3 2014) to become the No 1 digital-only station. BBC Radio 5 Live Sports Extra was given a boost thanks to exclusive coverage of England's winning run in the Ashes cricket series. Its audience increased by 42% to a record 1.7m listeners (from 1.2m this time last year). Among the commercial stations, Absolute 80s remained top growing by 10% to 1.57m listeners (from 1.4m in Q3 2014). Kisstory grew year on year by 34% to 1.3m listeners (from 0.97m in Q3 2014) - its benefited from getting additional coverage on local DAB digital multiplexes in the last 12 months and bodes well ahead of its national expansion on the second national commercial digital radio multiplex due to launch in early 2016. In its first Rajar period, digital-only station Smooth Extra, which is available nationally on digital radio recorded 930k listeners while Capital Xtra’s digital listening surged by 55% to 600k listeners (from 388k in Q3 2014) on digital. LBC, which is available on FM in London, but is digital-only elsewhere, reached 1.5 million listeners.